Now the Summer is a distant memory, I often find the little man staring longingly out of the window at his sandpit in the garden. Sadly it’s too cold to venture out and quite frankly, the thought of lifting the lid and disturbing a huge gathering of spiders, terrifies me! 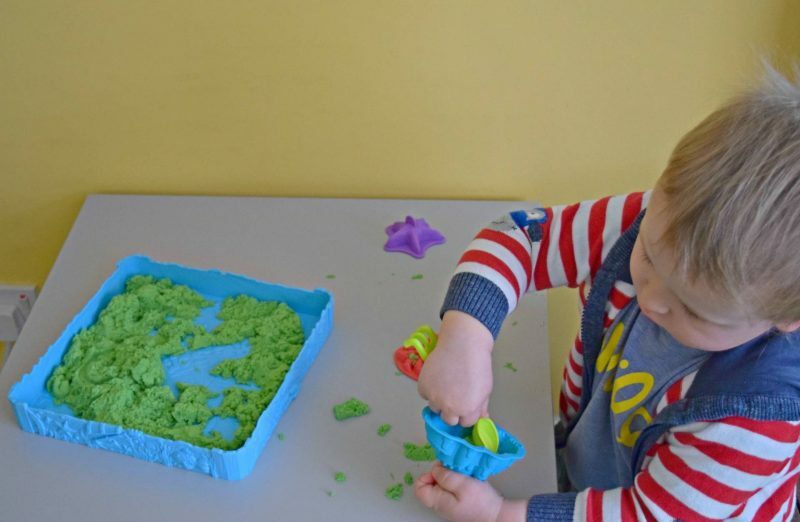 Step forward Kinetic Sand Sandbox, a less messy sand than can be used indoors. 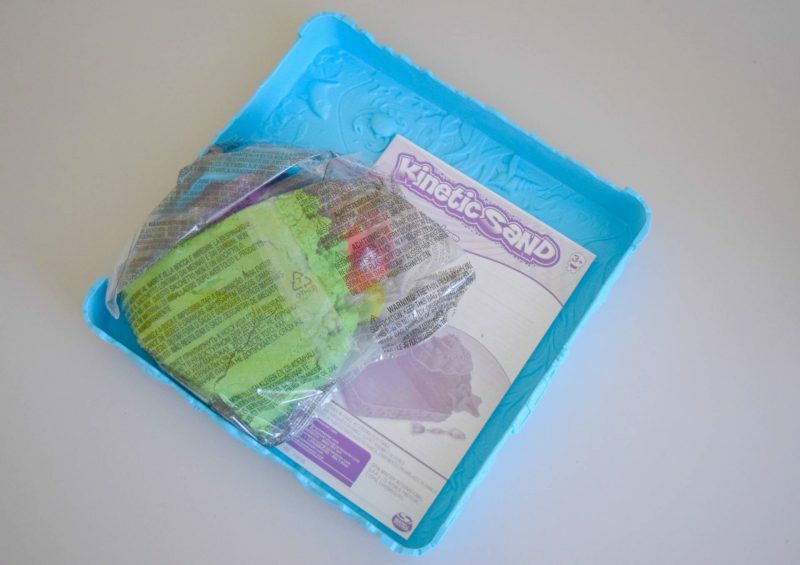 The Kinestic sand set consists of a good size and sturdy play tray, a 1lb bag of sand, three sand molds and a double ended rake and spade. Our sand was bright green in colour but I believe there are other colours available. The theme of the set is sandcastles and the molds are shaped like sea creatures and sand castles – they’re really quite sweet. The sand is made using 98% sand and 2% polymers which gives it an amazing and very unique texture. 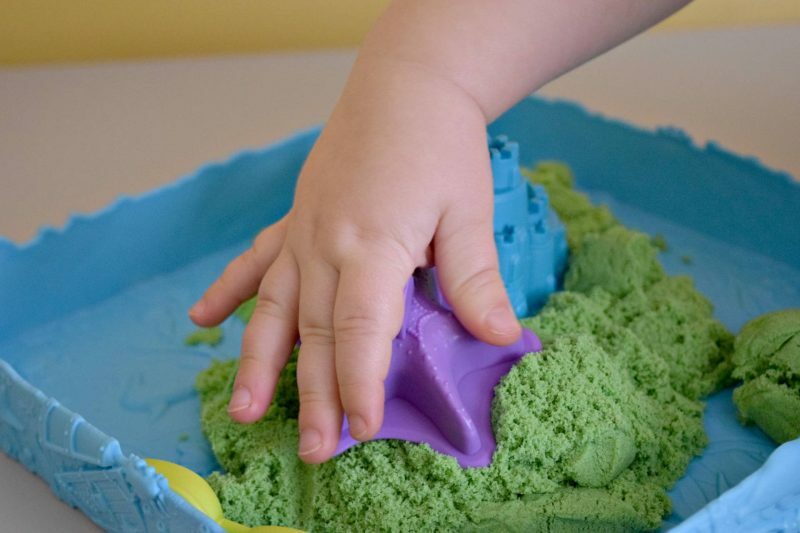 It doesn’t stick to your hands like normal sand would and should any escape from the play tray, it’s easy picked up by using other sand rolled into a ball. 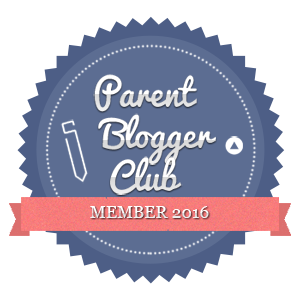 The set is recommended for children over the age of thress but I think it would also be great as a sensory product for younger children – providing they were closely supervised. 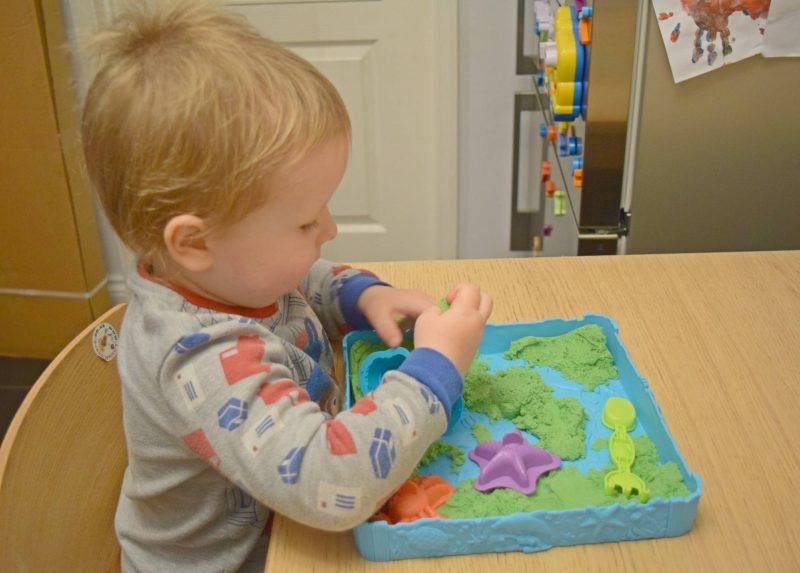 The little man has played with it constantly since it arrived, making shapes with the molds, driving his cars through it and making various other shapes and ‘things’. It also apparently makes great grass for his little figures to play in. 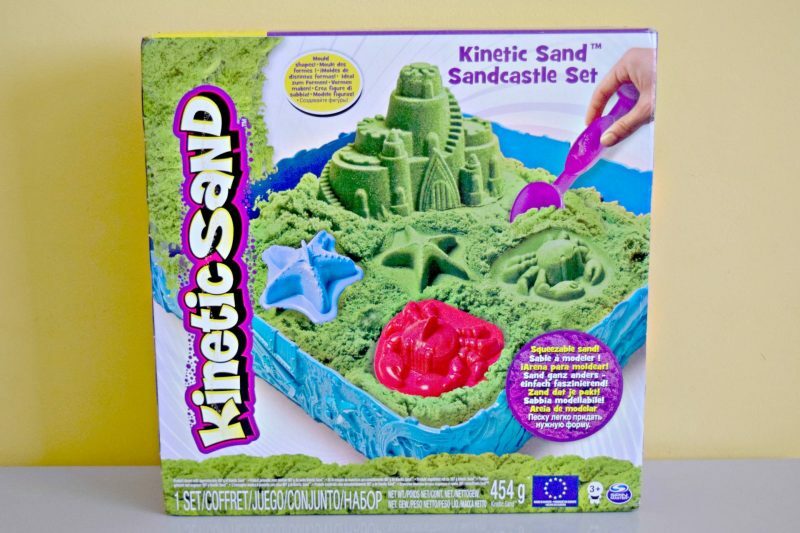 I honestly can’t fault the Kinetic sand set. Despite my initial concerns about the mess, it’s really not bad at all. It’s easily cleared up, it is fun for little people (Mammy might also have a slight obsession with playing with it, I think it may have some kind of stress reduction properties!) and I love the fact it doesn’t have a short shelf life, so isn’t going to dry up and have to be thrown out in a week. 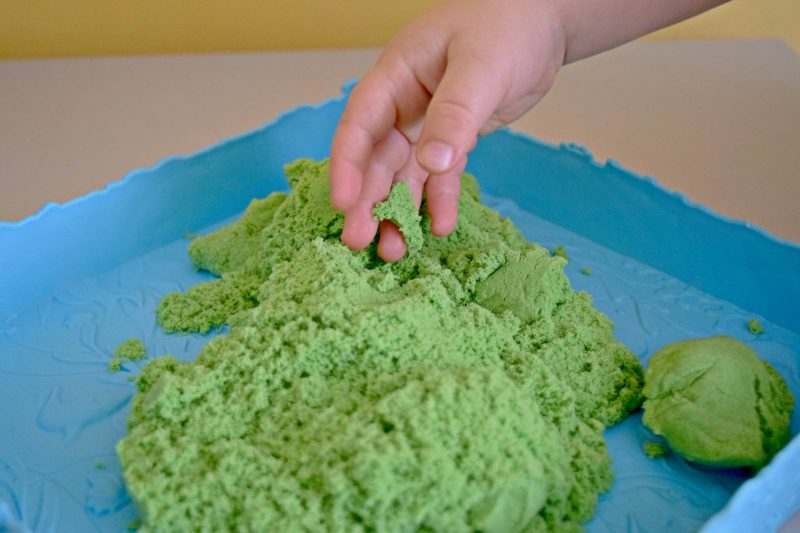 The ingredients used in the Kinetic sand mean that it won’t solidify or become unusable, even if it’s left uncovered, which being the forgetable and ‘not always on top form’ parent I am, means I won’t ruin it and upset the toddler. It’s available to buy on Amazon and is currently on offer for £16.99. I think that’s a great price for a product that will encourage hours of creative fun and imagine it would make a fab Christmas gift for younger children. 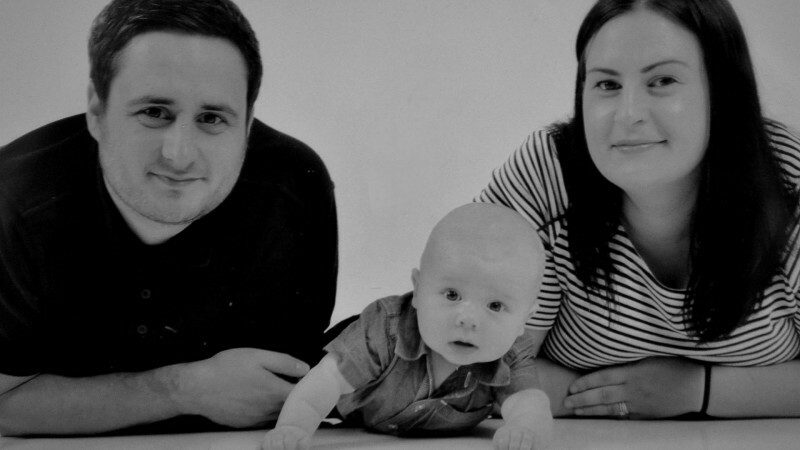 We were sent the product in return for an honest review.